Best Sellers: Seed Pack Art. Iowa Seed Co. These beautiful examples of a forgotten art form are highly collectible. Originals are rare and usually found in private collections and museums. 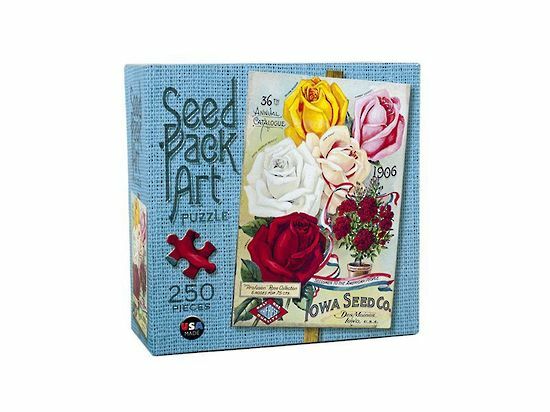 Enjoy the precision, colour and attention to detail as you piece together these Seed Pack Art Puzzles. While the pieces of these puzzles are not a lot larger than a standard piece, the images are bright and colourful and have only 250 pieces for easier completion. 46cm x 31cm. 250 Pieces.